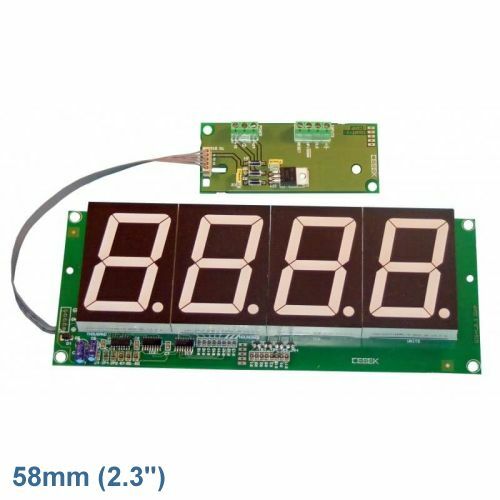 The Cebek CD-21 module is a 4-digit UP / DOWN counter with Reset and a large 58mm LED display. Count starts at zero and increases by one digit (to a maximum of 9999) each time a count impulse is received. It can also count down, subtracting from the count. Count input accepts a simple make contact closure (e.g. a push button, relay closure) or injection of an external pulse (5Vdc). The counter has a Reset input to zero the count and display.